Soon spring will be present in Japan, and at the end of March, cherry blossoms will bloom! Various kinds of sweet snacks with cherry blossom themes are present in Japan to welcome the cherry blossom season. We stopped by at the sakura matsuri in Seibu Ikebukuro to buy some cherry blossom-themed treats. Are you curious? 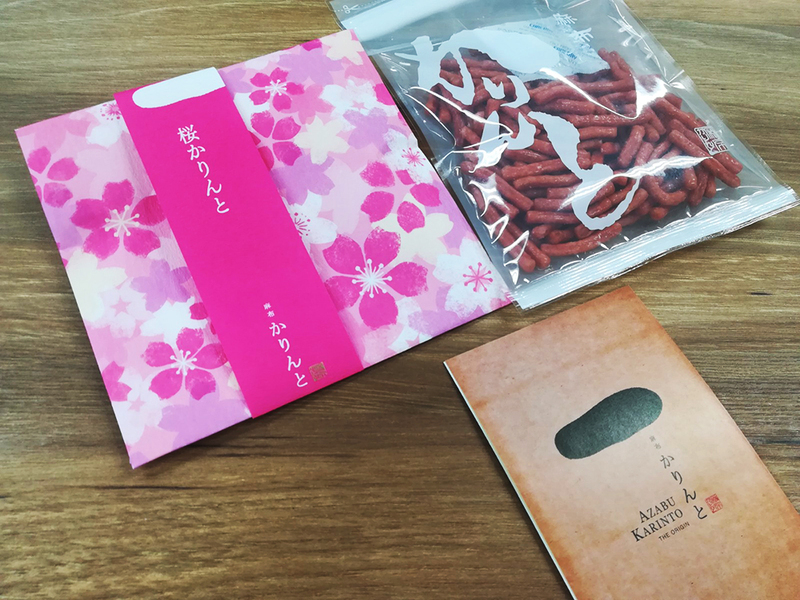 Keep reading to delight in these affordable, sakura treats! 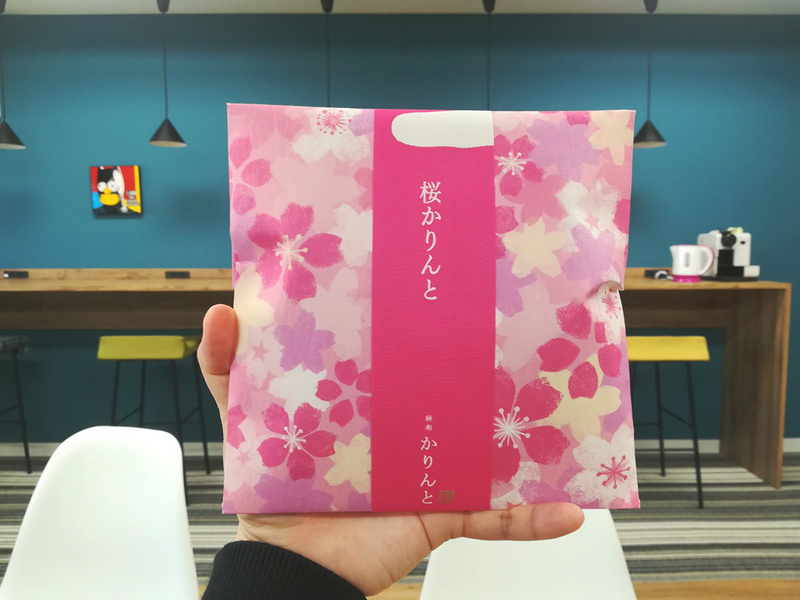 Dorayaki Sakura is wrapped in a simple package with cherry blossom patterns. 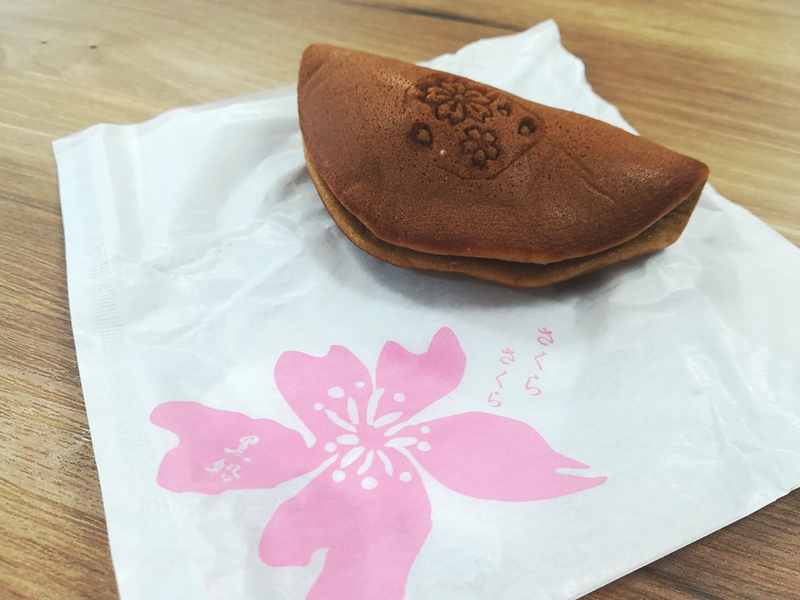 This dorayaki is filled with cherry blossom-flavored bean paste and chewy shiratama mochi balls! If you like dorayaki and Japanese sweets, this is a must try! 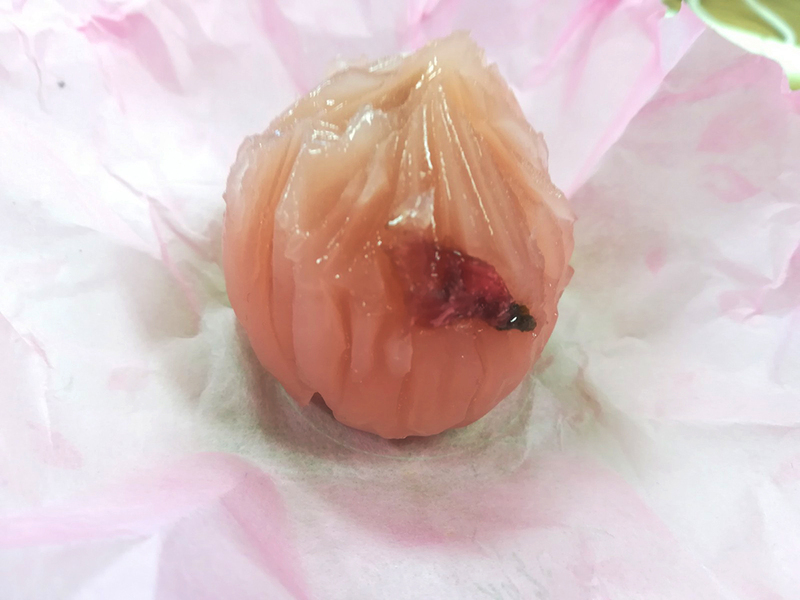 Seikanin is one of the oldest and most popular wagashi shops in Kyoto, and this time Seikanin launched wagashi Kinton, a small-sized cherry-flavored, sweet-wrapped in Japanese paper! 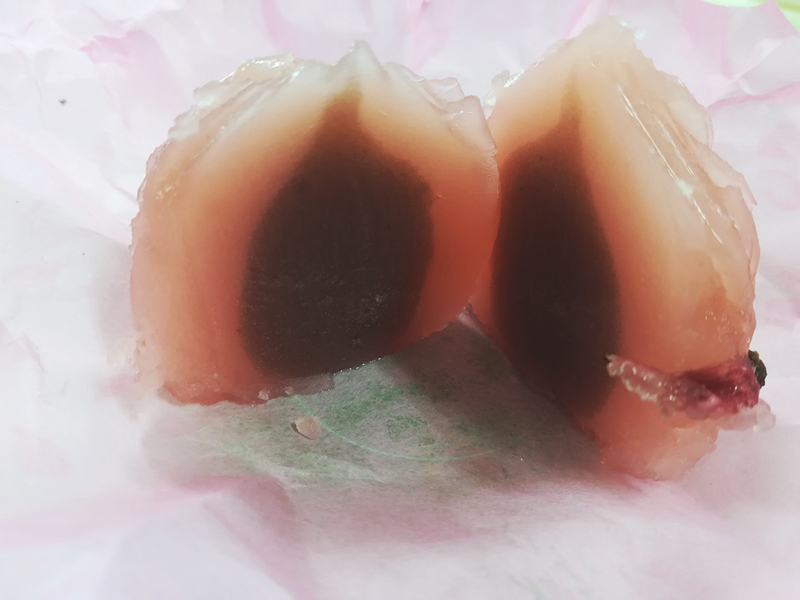 Kinton is a type of wagashi made without baking. 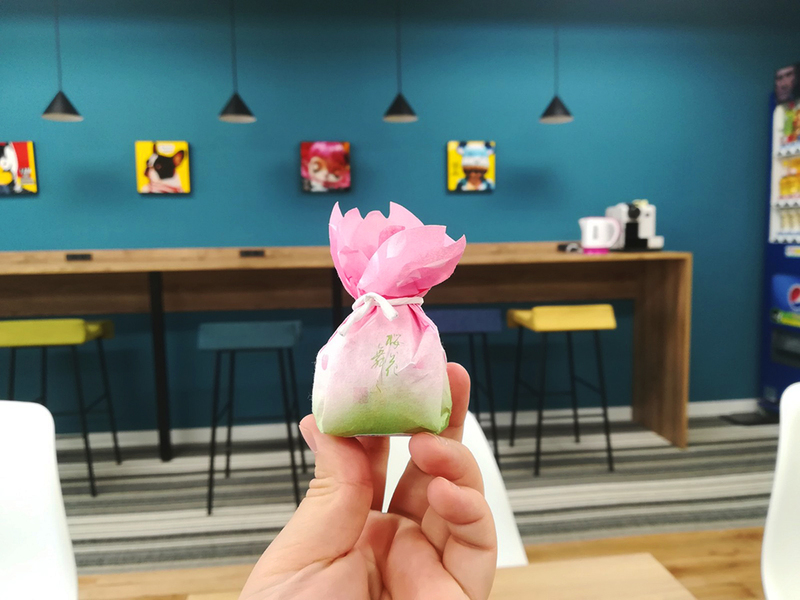 Also called namagashi (raw sweet snacks), Kinton is made of two types of bean paste, and today we will try this cherry blossom flavor! Called Ouka Mafu (桜花舞ふ), this kinton is pink and has small cherry blossoms in the middle. This snack isn’t too sweet and is a perfect match for green tea. Available at Seibu Ikebukuro, Odakyu Department Store Shinjuku, and Tamagawa Takashimaya. Azabu Karinto is one of the most popular karinto brands in Japan, and for spring, Azabu Karinto launched a karinto in cherry blossom flavor! Karinto is a Japanese crispy snack made from yeast, flour and brown sugar. Let’s see the contents of the karinto sakura wrapped in pink washi (Japanese paper) with this cute cherry blossom pattern! 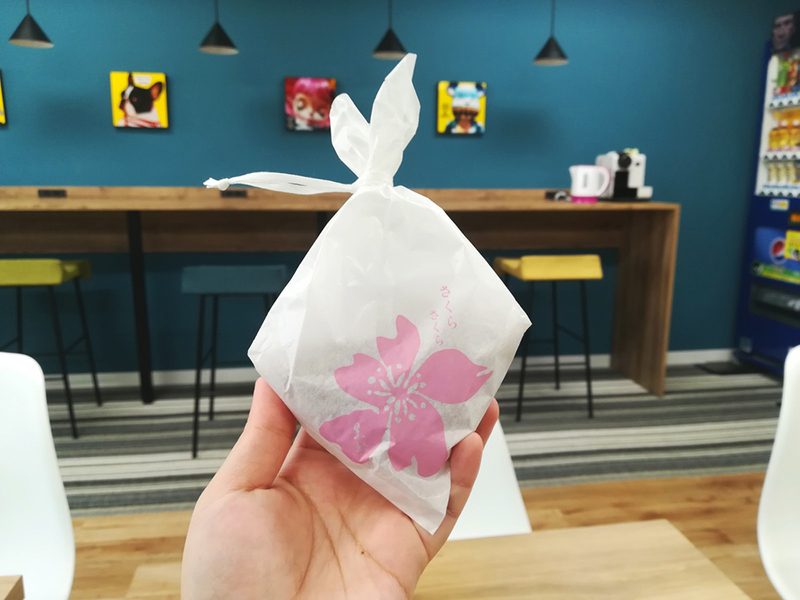 This sakura karinto is wrapped in a zipper plastic bag, so that the karinto will not become soft, stay crispy and be stored for a longer period of time. 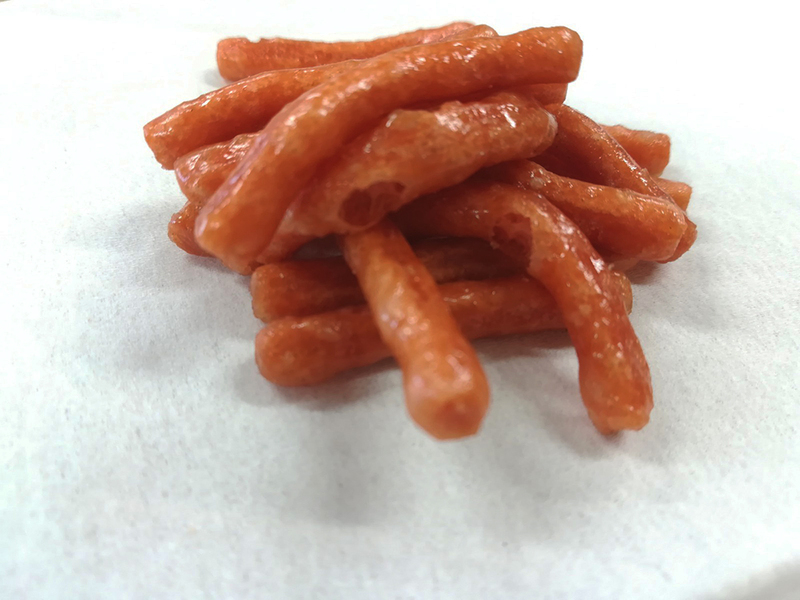 This karinto sakura has a crunchy texture, with a touch of cherry blossom flavor that is not too sweet. Suitable for eating with tea or warm coffee. Available at each branch of Azabu Karinto. 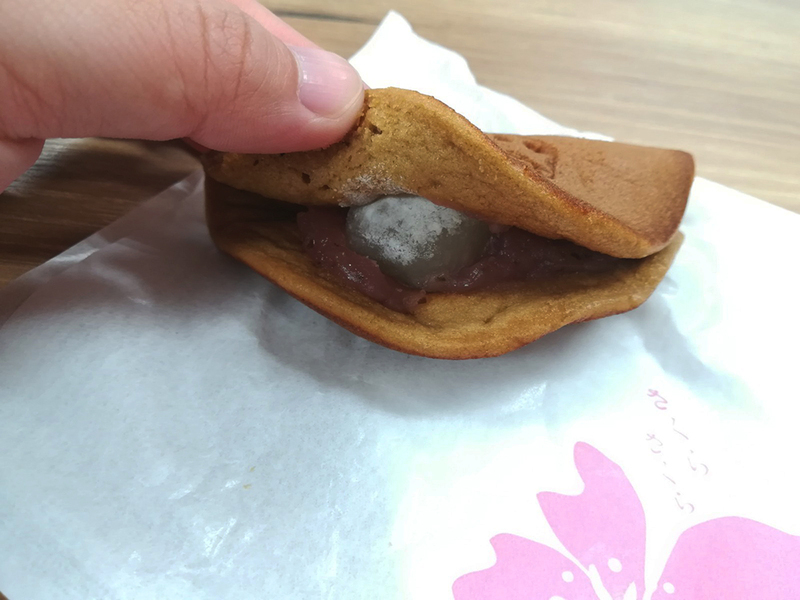 Besides wagashi sold at department stores in Japan, we also want to introduce chocolate sandwich biscuits with a cherry blossom flavor that you can buy at 7-Eleven! 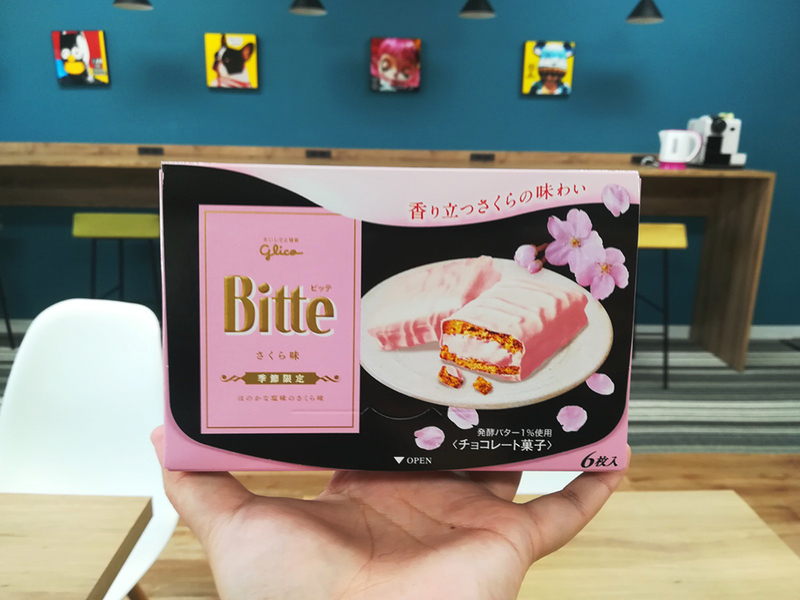 The price of one Bitte box flavored with cherry blossoms is 365 yen (tax included), and there are six individually wrapped pieces. 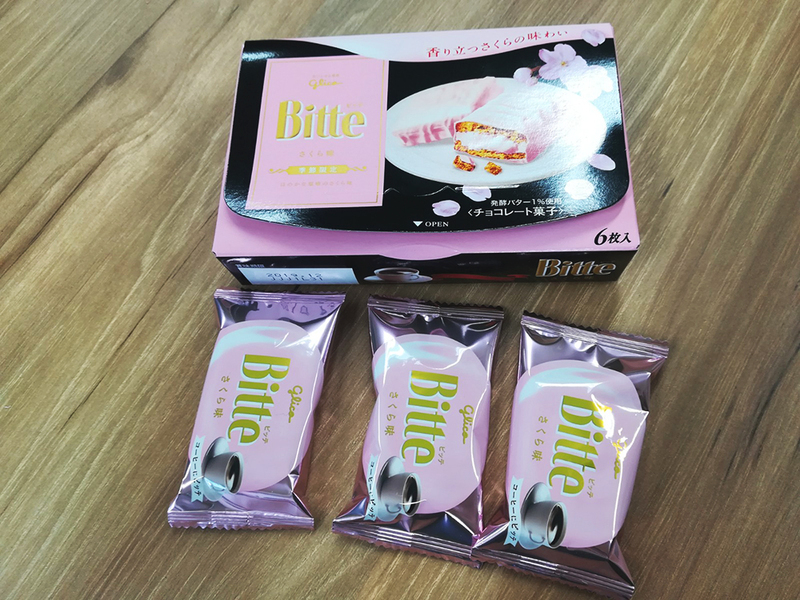 Bitte cherry flavor are crispy biscuits filled with cherry blossom flavored cream and coated with cherry blossom flavored chocolate. 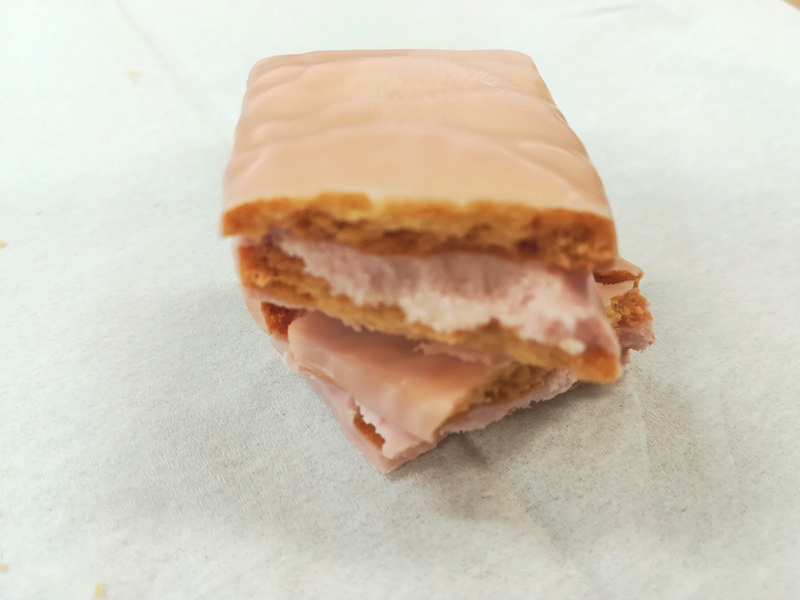 This biscuit is slightly sweet and savory; a must-try for those who want to cherish the flavor of cherry blossoms!